If you have kids at school, you’ll know the drill. A letter from school asking that you donate something or other to help the school raise funds, or to use for a project. Or that you go and buy something to donate for the school fete, or that they need to go in fancy dress, usually with about half a day’s notice. These things always make me anxious. I’m no good at sewing (I was always bottom of the class and ditched it for woodwork as soon as I could – not that I’m any good at that either) and if I am going to buy something I want it to be secondhand, or free of packaging – and the short notice always makes this difficult. I like to plan things ahead. But I also don’t want to feel guilty for being the mum that doesn’t join in with the idea. My son has just started at a new school. I was hoping things might be slightly different. He told me they had been asking for nominations for “Eco Warriors” or “Eco Council”. Although he didn’t want to stand he did want to suggest they had more recycling bins, particularly in the dining area and told me that he had been telling his class all about “Plastic Free July”. Proud mum moment (of course I really wanted him to volunteer as well – but he thought it would be more boring than football!). Then came the first letter asking for something. Donations to an “innovative fundraising programme” called Phil the Bag (and there are many other similar schemes operating in schools around the UK). On the face of it this looks a good idea. You take in your unwanted, but still useable, clothes and other textiles. The school receives money based on the quantity of textiles they collect. At the same time this, and I quote the school’s letter “not only develops the children’s sense of enterprise but also teaches them about the importance of recycling and how we can protect the environment.” Sounds great doesn’t it? Being the curious sort of person I am I contacted the school to see if they knew more about what actually happens to the donated textiles. I then searched online myself and easily found the website for the scheme. And the educational aspect of it looks great – and I can see it would be very attractive to schools. They are even helping the environment by no longer providing plastic bags for you to fill but asking you to provide your own (surely this couldn’t be a cost cutting exercise?). So, what happens to your donations? The first thing I noticed is that Phil the Bag is not a charity. This is clearly stated if you look at their website. They are a business, buying good quality clothes at a knockdown price to sell on for a profit. The donated textiles are sold on to a wholesaler in Africa who then sells them on to local markets. It has been suggested that this kind of trade undermines the local economy as the market is flooded with cheap clothes from the West. This puts local people out of work. A friend tells me there was an investigative programme on this on TV (Dispatches or Unreported World or similar). The volume of donations (you only need to imagine the number of schools and community groups participating in such schemes as a way of fundraising to see this is going to be vast) means that at least some of it is likely to end up in landfill sites in Africa rather than ever being sold. Are we simply shifting our problems of overconsumption overseas rather than facing up to them at home? A number of African countries have actually banned imported clothing to start addressing this issue, which also affects the countries’ balance of trade surplus/deficit. And we are teaching the children that this is good “recycling”. Actually it is not “recycling” but “re-use” but perhaps I’m a pedant. Perhaps there are more Rs we should be telling them about as well, starting with Refuse and Reduce. There is no denying that it is “enterprising”, but on the part of the company making all the profit, rather than the school. Such schemes are also potentially diverting goods from genuine charities or relief projects. I would love the children to learn about re-use in the context of a Circular Economy operating at a much more local level. Why send our clothes all the way to Africa if they can be found a good new home in the same town? Of course the school needs to raise funds (the letter says the scheme will raise money for “vital resources” – trying to make me feel guilty if I don’t take part? ), but perhaps a Swishing event (clothes swap) or even a table top sale could raise an amount closer to the real value of the donated goods. This may not have the “ready made” educational resource that comes with schemes like the Phil the Bag, but the benefits might really be much greater. And if you do want to donate to people in Africa, do so through a genuine charity – if the intention is to clothe people in Africa, it might be better to donate money to be spent on locally made clothes rather than to swamp them with our unwanted items. And if you want to donate your unwanted clothes, do a bit of research into where they will end up, as some charities, and a lot of those organisations posting bags through your letterbox, also send clothes to overseas wholesalers as reported in this BBC article Where do Your Old Clothes Go? Phil the Bag – this is one innovative fund raising programme in which I won’t be taking part. And I won’t be feeling guilty. Now I just have to explain that to my 9 year old. After writing I noticed that Phil the Bag claim to be an official partner to Eco Schools, an initiative run by Keep Britain Tidy. I contacted Keep Britain Tiday in the hope they could allay my concerns. I have now received a response and it turns out that Phil the Bag have not actually worked with Eco Schools for many years. Keep Britain Tidy say they entirely agree that we should be teaching our kids about the circular economy at a local rather than global level and suggest The Salvation Army as a better partner to worth with on clothing donation schemes. 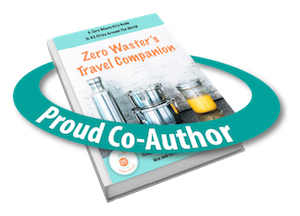 The Zero Waster’s Travel Companion, aimed at visitors to a range of featured destinations, is an easy to use reference guide to local activities, shops, and restaurants. The guide recommends where to buy environmentally friendly products, shop without packaging, donate unused items, or shop secondhand, taking the guesswork out of reducing waste while visiting a new place. My home town of Leighton Buzzard features alongside 31 other towns and cities around the world. The featured shops in Leighton Buzzard include The House of Coffee, Nature’s Harvest, Stratton’s Butchers, Selections Hardware, Ollie Vees, Oliver Adams Bakers and Pecks Farm as well as a variety of local market stalls. 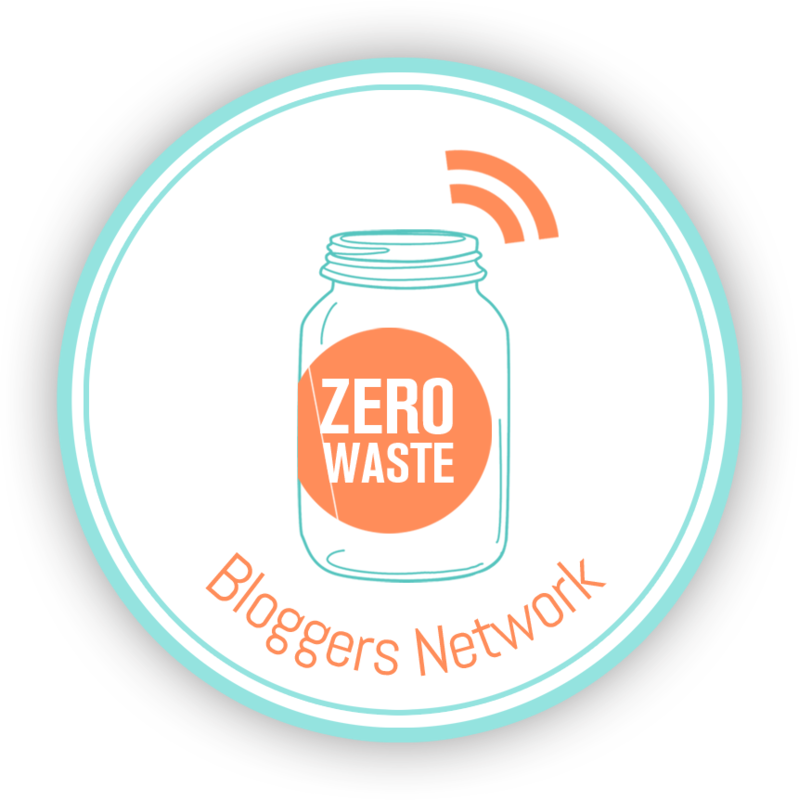 All proceeds will fund future Zero Waste Blogger’s Network projects to raise environmental awareness and help support the zero waste community. Remember to take your own bag to the shop. You’ll save 5p each time you do. Buy a refillable water bottle and fill it up at a tap rather than buying expensive bottled water. Buy a reusable coffee cup or flask to use when you want a take out coffee (some places offer a discount for this), or to save more money, fill it up before you leave the house. Natural haircare can be fraught with challenges. Where are the ingredients from, how are they sourced, are they sustainable, and will they work? Well, let me tell you a secret – I haven’t used regular shampoo to wash my hair for almost a year now. Recently, I have been using a soapnut shampoo every 4-6 days, substituting for a wash of chick pea flour (a tablespoon mixed with a little warm water) every few weeks. But, conscious that the soapnuts grow far away and of concerns expressed about the impact of their rising popularity here on their cost for those who have been using them for centuries, I have been looking for a more sustainable alternative. So, when I heard (via the fantastic community that is the Zero Waste Heroes Facebook Group) that conkers are a popular alternative to soapnuts in Germany I was keen to give it try. Something both local and free – now what could be better? Now autumn has arrived, I can finally give it a go. My first foraging trip was unsuccessful and turned up just a single conker but then I realised a park would, of course, be the best place to look. I found a few on my way to work (quick dash as I realised the park opposite the station was a good place, but that my train was in 10 mins! ), but did much better in my lunch hour at the beautiful Cassiobury Park in Watford. My cloth bag was swiftly filled, though as I carried them home at the end of the day I did wish I hadn’t gathered quite so many. Now how to choose between the variety of recipes online? Although I read a few I decided I wanted to keep it simple. I crushed up about 5 or 6 conkers, but you can experiment with the strength to see what works for you and your water, and soaked them in a cup or so of warm water overnight. Discard any that are split – I had a few and they went mouldy before I got to use them. I strained the liquid in the morning (you should get a nice milky looking liquid – that in the photo below has separated out slightly – this was just before I shook and sieved it) and used some of it to wash my hair. Giving it a quick shake revealed the frothiness caused by the natural saponins. I used an empty liquid soap dispenser to apply to my hair, focussing on the roots – an old shampoo bottle would work well too. Take care to avoid getting any in your eyes. The conkers apparently have a slightly lower ph value than the soapnuts. I’m not quite sure (will try to find out and update) whether this means a ph balancing rinse is necessary (not needed with soapnuts) but I did rinse with some leftover coffee with a splash of white vinegar. This also acts as a conditioner. The liquid won’t lather like shampoo and is much less thick, which may seem strange if you are used to shampoo. I wasn’t sure it was working at first and my hair did feel a little waxy while it was wet (a hard water problem) but once dry I am really pleased – it feels lovely and soft, and importantly, clean. I didn’t need to use all of the liquid on my hair so used the rest to wash a load of laundry. I added a splash of vinegar to the machine as well as we have very hard water. I wasn’t washing anything with stains so can’t yet comment on effectiveness there (I usually need to apply stain remover anyway with soapnuts) but they came out smelling nice and fresh. I am sure you could add a few drops of fragranced oil if you like a scent to your laundry. I’m used to it being unfragranced. If you have collected enough to see you through the winter you can dry the whole or the chopped up conkers, and then mix with the water as you need to use it. A word of warning – I tried chopping them in a mini food chopper and, it broke (though it’s possible that the plastic bowl cracked during washing up) – so might be better to cut them, grate them or bash with a hammer, or at least not try first time in an expensive food processor. Be sure to label them clearly – remember that raw conkers are poisonous. Might also be worth testing a small amount on your skin in case of allergies. Don’t forget that you can compost the used conkers. I will definitely be trying this again, to see if I can replace soapnuts altogether, or at least partially. Do let me know if you give this method, or any of the variations, a go and if it works for you.